When your growing business has to change place, you often face a period of trouble and loss of productivity. These are some of the disadvantages of business relocation. And if this continues, it may lead to a big profit loss on your trade. Well, avoiding these disadvantages would be possible if you have a proper moving office planning guide. In fact, a right organisation and strategy of your move can do the trick to cheer your business up. 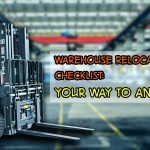 Knowing that there are pros and cons of your business relocation, you will be able to check and decide correctly if your decision would benefit you. Well, this article will show you how to deal with the disadvantages of your transfer. Moving your business from one place to another may risk you from losing employees. They know perfectly all about your company, your culture and your likes to get things right. It’s just that you can’t get everything under your control. But on the brighter side, you may gain new employees. You can train them just like the old ones. With a proper selection of the good ones, they can eventually become as good your former employees. Other disadvantages of business relocation are the possibility of losing out your long-standing customers. Well, this could possibly damage the loyalty and customer satisfaction. Yes, moving your business could interrupt current client relations. Remember clients are important for business. So to avoid this, be sure to communicate every step of the moving process. Inform all your clients and suppliers about your new place, time schedule, and other related changes. Moving your business could be expensive, so be sure that you are able to handle all of the added costs. Hiring professional movers during the move is the best way to make sure the task will be done efficiently. If you participate in an activity that interacts with the environment, the savings for the move might be too little for there might be some fines along the way. An additional tax burden or regulatory requirements delay the flow of business. What seems to be a cheap land at first glance might end up costing you more in the long run. The last disadvantages of business relocation but certainly not the least is the interruption cost. In fact, almost any type of business will suffer a disruption of productivity on the scheduled day. And if the establishment needs to be shut down completely for a span of time, then you may experience a great downtime. As a result, there will be a loss of revenue for the shutdown. And not only that but also the risk that regular clients will abandon the business for not going through a period of a move. However, this can be avoided if you set your plans and the moving day on the day that your production will not be affected. Just like most of our decision in life, there are both advantages and disadvantages of business relocation. What you could do is to make sure that you have weighed up all the factors that you need to take into consideration before you commit. Well, there are a lot of commercial relocation companies that specialise in moving businesses of all size, so finding one won’t be that hard. And if possible, you may also consult with them a moving management plan that suits your needs. Likewise, you must be realistic. Keep cost in mind and do your research. After all, the most important thing here is that you planned it well and execute the plan effectively. Checking the other important details like if you’ll be needing a temporary modular storage before your move. Or whatever other important details that need to consider. Ready for a business move? Well, Business Relocation Services is right for you. Our team of experts aims to provide high-quality move and removal services for our valued clients. Call us today for inquiries and our team of professionals will be happy to assist you. Also, if want to learn more about moving, then this article is for you: “Sydney Relocation Company Insights: Questions Before Moving”.